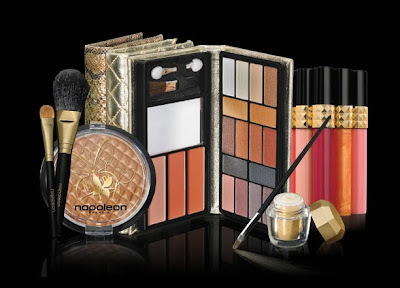 Another brand that has remained elusive up until recently, Napoleon Perdis has put forth a serious array of holiday goodies that is leaving me quite tempted to indulge. Three brilliant highly-pigmented shimmer pots for eyes. Colors include yellow gold, white gold and bronze—an ideal offering for the height of the party season. 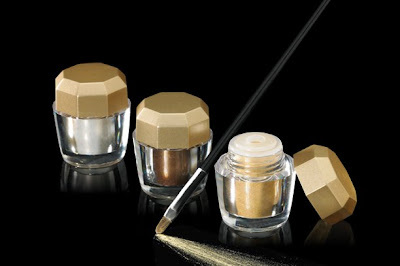 Wear them solo or blend for dramatic and seductive tonal effects. The effect is always dazzling. Brush applicator included. 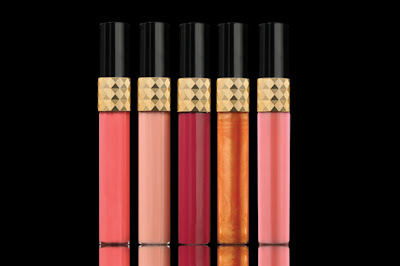 From their sparkling tubes to their radiant shades, these limited edition lip glosses are the height of festive glamour. Their juicy flavors (Strawberry, Peach, Raspberry, Tangerine and Watermelon) make them an absolute delight to wear, while Jojoba Seed Oil helps to effectively hydrate your pout. 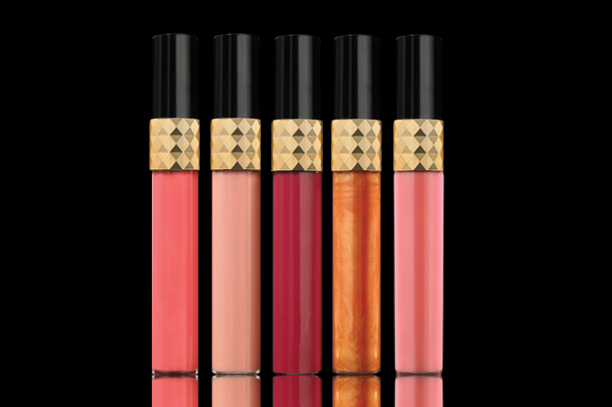 The gloss tubes are bedecked with an Art Deco-inspired filigree that makes your lip application a fashion statement. Sun-kissed beauty—with a twist. This tempting trio of products consists of pressed powder, bronzing brush and lip gloss housed in one convenient kit. 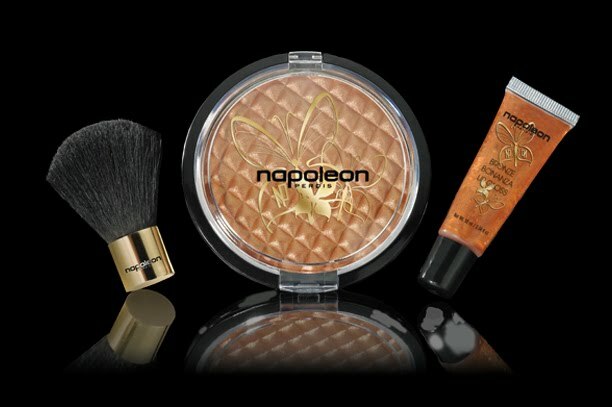 The shimmering powder can be used on cheeks, décolletage and limbs for a decadent all-over luminosity. The bronze lip gloss is perfect for jetsetters. One seductive palette, one million looks. 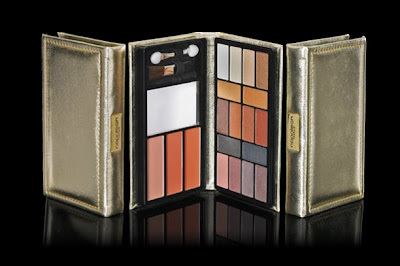 Golden Girl Palette boasts 16 riveting eye shadows, three winsome cheek colors and two brush applicators, all enclosed in an eye-catching gold fabric wallet. That’s a whole lot of razzle-dazzle, and all you need for day-to-night transformations. Two mini kabuki brushes in natural hair for foundation and powder application. 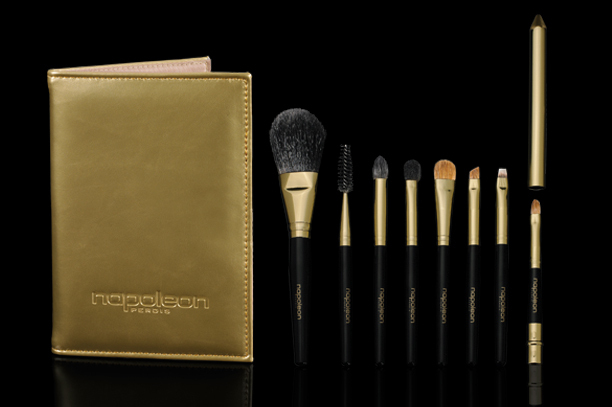 The brushes are enclosed in an adorable gold pouch. Six plush travel-sized brushes including a Powder Brush, Blush Brush, Eye Liner Brush, Concealer Brush and two Eye Shadow Brushes in a blend of natural and synthetic hair. The brushes come in a dapper gold brush roll. 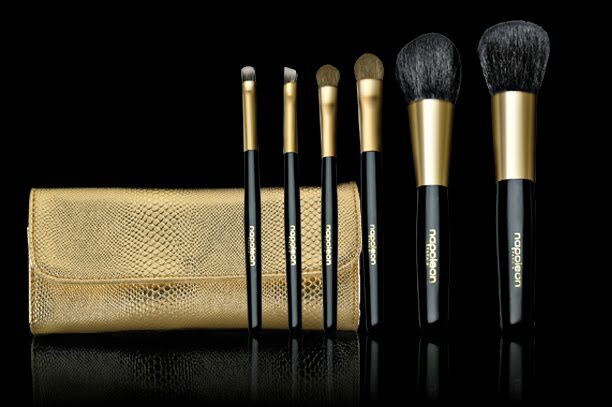 Eight elegant travel-size brushes including a Powder Brush, Concealer Brush, Liner Brush, Lip Brush, Mascara Brush and three Eye Brushes in a blend of natural and synthetic hair. The brushes are presented in a snazzy gold wallet with built-in mirror. 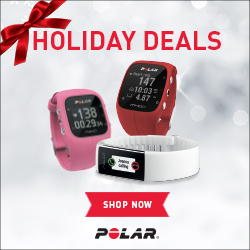 The holidays are a great time to explore new brands via holiday kits. Surely, Napoleon Perdis had that thought in mind with such an extensive holiday collection. Are any of these kits enticing you?